Betsy Bligh and Elizabeth Macarthur are left behind to run the colony when their husbands join Reverend Marsden to go in search of the cannibal Mad Dog Fauntleroy. Governor Bligh runs afoul of naturalist Joseph Banks with his strategy to combat bushrangers and his efforts to eradicate the verminous Giant Quoll. 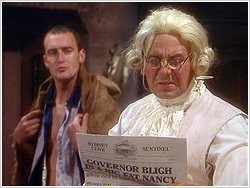 Following an assassination attempt on Governor Bligh, Griffin must act as a decoy until the danger has passed while Bligh poses as a common criminal in prison. 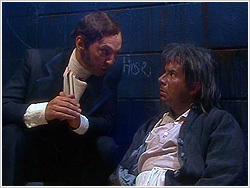 As Griffin carries out Bligh's official duties, Bligh finds himself sharing a cell with a man he has refused to pardon. A Royal visit from the Prince of Wales inspires Bligh to commission a monument to mark the occassion. When a humble dung saleswoman that catches the Prince's eye, the Blighs work to transform her into a suitable bride. Governor Bligh is outraged when newspaper owner John Macarthur publishes a series of libelous articles about him in the Sydney Cove Sentinel. The crisis causes Bligh to search for an honest man to be the new editor but the truth proves to be more scandalous. John Macarthur starts the colony's first private school. To prove the value of his own government school education, Bligh accepts Macarthur's challenge to a Tournament of the Minds, a quiz of general knowledge. 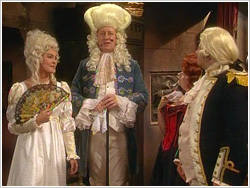 With their reputations at stake, both men task their willing wives with seducing the instructor, Senior Cassanova, to obtain the questions in advance of the quiz. With a deadly plague ravaging the colony, Governor Bligh opens a new public hospital thanks in part to a generous donation by John Macarthur for a well-equiped... private wing. At Bligh's insistance, Macarthur also agrees to supply a new doctor. 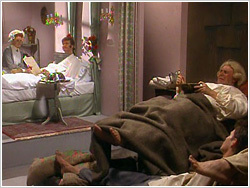 With both Bligh and Macarthur on their respective death beds after coming down with the plague, their only hope lies with Macarthur's overzealous German vet and Griffin's herbal elixer. 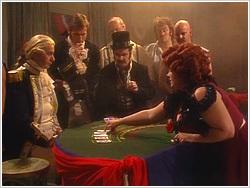 Bligh outlaws all forms of gambling in the colony... until he begins to receive the government's share of the sizeable profits from John Macarthur's new casino. A high-rolling American bankrupts the colony forcing Bligh to wager Government House itself. 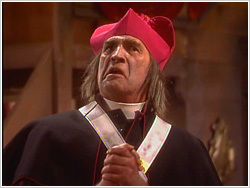 The arrival of a Catholic priest, Father Patrick Declan O'Brien, raises concerns for Governor Bligh. Macarthur comes up with a scheme to build his own church for its tax-exempt status and convinces Bligh that the Catholics are planning an uprising. Betsy Bligh receives a calling from God. The arrival of the French during a time of famine creates a crisis when Macarthur sells them his sheep putting Bligh in a bind when he tries to impress the French captain by inviting him to a lavish banquet in hopes of gaining a trade advantage. With the colony struggling amidst a record drought, Governor Bligh seeks to forge a treaty with the local aboriginal population. Betsy Bligh leaves her husband when he forgets their 20th wedding anniversary. With Elizabeth Macarthur also leaving her husband to "find herself", the arrival of moral crusader Thomas Bowdler forces Governor Bligh, Reverend Marsden, and John Macarthur to find new wives.